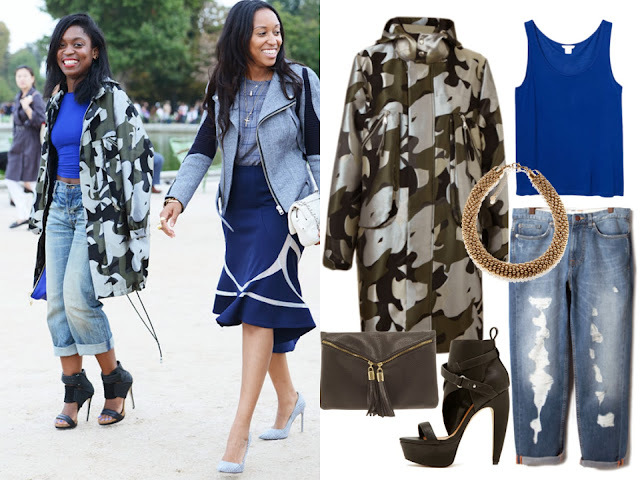 The Fashion Guide Blog : Street Style yourself. If you are one of those girls who wears random pieces of clothing with no personality at all and you want to change your image and create your very own personal style, this post is for you! It might be a bit difficult at the beginning but don't panic. Sometimes clients ask me to help them with a full makeover. They want to change their style and the way they dress but they're afraid of making that change and this can be a big challenge – for me as well as my client. The best way to make a new start and develop a new style is to use basic pieces in a basic colour palette. It will be like a blank canvas where we can add little pieces that make will your outfit pop. In this way, you’ll get the courage to mix and match and try bold colours and statement pieces, etc. that will make you stand out from the crowd.